A bookish brother. An inventive sister. A baby with a wicked bite. This villain picked a fight with the wrong orphans. I just finished binging this last night and I have so many thoughts. I will probably come back to this thread many times. I will say I haven’t read the books, but I didn’t see a “Show Only” thread. For now, let me say that Neil Patrick Harris doing a Nathan Fillion impression made me laugh hysterically for several minutes. Actually, this whole season was just a reminder of how great NPH is. I figured since this season is, as far as we know, the end of the series for Netflix, that book spoilers should no longer be an issue in the discussion so separate threads would be redundant. Question: as someone who loved the first season and couldn't finish the second as I found it too tedious, would this one possibly work for me? I think so, litleozy - this season is only 7 episodes long, and didn't stick to formula as rigidly as S2 did. Also just finished! I have an impulse to go back and look for the point when Olaf first started mentoring the Baudelaires in between murder attempts. It certainly became more obvious after his henchfolk started bailing on him - but I think at least the end of the carnival, maybe before? I watched the whole season on New Year's Day. I definitely liked season 3 better than season 2, but nothing can top S1 for me. But I'm still not sure how I feel about the reveal of Beatrice's relation to the orphans. See, back in the S1 show-only threads, after Mother & Father appeared, a book-reader posted a comment saying something like "I'm surprised they revealed the Baudelaire parents being alive so soon". Once I got to the episode that revealed that Mother & Father were actually the Quagmire parents, that comment was flagged as a book spoiler and deleted. But then a different book reader would join the discussion, and make a similar comment which would get flagged and deleted, until there was a mod-note reminding people it was a show-only thread. So, I assumed that we were eventually going to learn which one of the Baudelaire parents had survived the fire, and didn't realize that the appearance of Quentin Quagmire was the reveal of the "someone" who survived the fire. And then the reveal that Lemony's beloved Beatrice was his friend's wife? At first I was just confused at the reappearance of Morena Baccarin, because I knew Lemony's Beatrice was definitely dead, and per above I was still kind of waiting for a surprise-not-dead-after-all Baudelaire parent, but, then I just felt confused because I was kind of squeaked out by all of Lemony's mourning of Beatrice when it turns out he wasn't the love of her life. So, I'm still not sure how I feel about the conclusion of this series. There's a lot of not-dead-after-all going around - after the Quagmire parent twist, I figured the Baudelaire parents were both very dead. 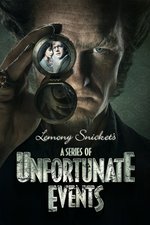 But I'd forgotten between seasons that Lemony Snicket was also presumed dead, at least in some quarters. The way I understood the Lemony/Beatrice relationship is that they were engaged (remember Lemony said that the night at the opera ended two engagements), but after Lemony agreed to take the fall for the dart, he went on the lam. Beatrice then later married Mr. Baudelaire. This series is like a very large, ornately decorated cake, very much like the sort of thing they serve in the Niederegger cafe in Lübeck, which, if you are ever in Lübeck, I I highly recommend (it is easily the campest place I've ever been that was not openly gay, though for obvious reasons you'd need to be fond of Marzipan). But very large. Having eaten an awful lot of cake, but with an awful lot of cake left to eat, it remains as charming and ornate as ever but I'm feeling bloated and nauseous, but I don't want to just stop as it's a terrible thing to waste cake. And I'm finished now. I have to say, the series is consistently beautiful, slightly less consistently entertaining, more arch than the entire McDonalds hamburger operation and it must have cost a tremendous amount of money to make. Very much like the last couple of seasons of Dr Who run by Steven Moffat, however one feels about the actual show, it's a minor miracle that it got finished at all. I'm very glad I saw it, but not at all sure that I'll ever do it again. If Bryan Fuller ever finished anything, I suppose it would feel like this. I'm actually only halfway through Season 2—I started it recently because the release of Season 3 made me realize I hadn't gotten around to it—but I wanted to add something to what Grangousier said about this show being a minor miracle, and it is this: This is a TV show entirely about how people should read books. That's pretty choice and rare right there. For obvious reasons. Anyway, it took a prompt as blatant as that for me to notice it. I am slow.